Security Visualization. | Data Science. | Big Data. Security Visualization. Data Science. Big Data. Certified Product Manager, Pragmatic Marketing, October 2006. SANS GIAC Certified Intrusion Analyst (GCIA), February 2005. IBM IT Security Methodology Certification, March 2003. Certified Information System Security Professional (CISSP), November 2002. Teaching assistant for Network Security 2001 at ETH Zurich. Apache Spot Committer, 2017 until present. "AI & ML in Cyber Security - Why Algorithms Are Dangerous", at Kaspersky SAS 2018 in Cancun, Mexico, March 2017. "Delivering Security Insights with Data Analytics and Visualization", Keynote at ACSAC 2017 in Orlando, FL, December 2017. "AI & ML in Cyber Security - Welcome Back to 1999 - Security Hasn't Changed", Keynote at BSides Vancouver, CA, March 2017. "Big Data Techniques in Infosec: Collect, Analyze, Hunt, and Secure", IANS Forums Washington, New York, Chicago, 2016. "Threat Intelligence: 10 Tips to Turbocharge Feeds", IANS Forums Washington, New York, Chicago, 2016. "Security in Big Data Systems", XLDB - Extreme Large Databases, Stanford, CA, USA, May 2016. "Creating Your Own Threat Intel Through Hunting & Visualization", HoneyNet Workshop 2016, San Antonio, TX, USA, May 2016. "Creating Your Own Threat Intel Through Hunting & Visualization", Kaspersky Security Analyst Summit, Tenerife, Spain, February 2016 (video). "Big Data & Security: Mountains instead of Bank Vaults", Panel Moderator, Greater Zurich Area Security Event, Menlo Park, USA, September 2015. "Security Visualization - Why Is It So Hard?, ISF 2014, Shanghai, China. "Visualization for Security, BlueCoat, Sunyvale, USA, August 2014. "Heatmaps - Why is Security Visualization So Hard?, Area41, Zurich, Switzerland, June 2,3 2014. Heatmaps - Why is Security Visualization So Hard?, HoneyNet Workshop, Warsaw, Poland, May 2014. DAVIX 2015 - HoneyNet Workshop, Warsaw, Poland, May 2014. "Cloud - Big Data - Security", iTech Gulf 2014, Bahrain, April 2014. How Big Data, Data Mining, and Visualization Enable Security Intelligence - 2013 Honeynet Project Workshop, February 10, 2013. Wikileaks/Manning Panel, IEEE/SADFE 2011, May 26, 2011. "Cloud Application Logging for Forensics", SAC'11, 2011, TaiChung, Taiwan, March 2011. "Visualizing the Malicious Insider Threat", HICSS 2011, Kuwaii, January 2011. "Security Visualization - State of 2010 and 2011 Predictions", SANS Incident Detection and Log Management Summit, Washington, D.C., December 2010. "Cloud Security Visualization", DeepSec 2010, Vienna, Austria, November 2010. Swiss Alumni Mix Up, SwissNex, San Francisco, November 2010. "Emerging Threats: The Cloud Problem", Congreso Seguridad en CÃ³mputo201, Mexico City, Decmeber 2010. Log Visualization in the Cloud, BrightTalk, August 2010. Cloud Log Analysis and Visualization, Recontres Mondiales Du Logiciel Libre, Bordeaux, France, July 2010. University of Advancing Technology, Tech Forum, November 2009. Webinar: "SIEM 2.0: Integrating Five Key Requirements Missing in 1st Gen Solutions", IANS Security, October 2009. KeyNote at ChicagoCon, Chicago, May 8-9 2009. "IT Data Analysis and Visualization", Peer-to-peer session at RSA, San Francisco, April 2009. "IT Data Search Engine - Splunk", IANS Security event, Washington D.C., March 2009. "SecViz 007", BCS 2008, Jakarta, November 2008. "SecViz 007", IS Summit 2008, Hong Kong, November 2008. "IT Data Visualization", SUMIT 08, University of Michigan, October 2008 (audio). "IT GRC Visualization", Triangle InfoSeCon, Raleigh, North Carolina, October 2008. "SecViz 007", BA-Con Argentina, Buenos Aires, September 2008. Panel discussion at VizSec, Boston, September 2008. DAVIX presentation at VizSec, Boston, September 2008. "Visualization Research 2.0", FIT-IT, Graz, Austria, September 2008. "DAVIX Visualzation Workshop", DefCon 16, Las Veags, August 2008. (video). "Recent Trends in Security Visualization", RSA Conference, San Francisco, April 2008. "All the Data That's Fit To Visualize", SOURCE Boston, March 2008 (video). "Applied Security Visualization", MIT Lincoln Labs, Boston, December 2007. "Insider Crime Visualization", BCS '07, Jakarta, Indonesia, November 2007. "Computer Crime - A Data Centric View", CSI Computer Crime and Security Survey 2007 event, San Francisco, October 2007. "Insider Threat Visualization - The Visual Conviction", First 2007, Seville, Spain, 2007. "Visualization of Security Data", Bellua BCS, Jakarta, Indonesia, 2006. "Visual Log Analysis - The Beauty of Graphs", DefCon, Las Vegas, 2006 (video). "Visual Event Analysis with ArcSight", ArcSight User Conference 2006. "A Visual Approach to Security Event Analysis",EuSecWest, London, 2006. "Visual Security Event Analysis", RSA Conference, San Jose, 2006. "What defineds IDS? Does IDS really help? ", RAID Conference, Seattle, 2005. "A Visual Approach to Enterprise Security Management", Government Technology Conference (GTC) East, Albany, NY 2005. "Visual Security Event Analysis", DefCon, Las Vegas 2005 (video). Common event format standard, Global Security Consortium workshop, Washington D.C., 2005. "Visual Security Event Analysis with ArcSight", ArcSight User Conference 2005. GCIA paper (Visualization of TCPdump data), 2005. Security Information Management, Security Colloquium, IBM Research, 2004. Intrusion Management, the Zurich Information Security Center, Federal Institute of Technology, Switzerland, April 2003. "Design of an Intrusion-Tolerant Intrusion Detection System", Information Society Fifth Framework Programme, 2003. "Thor: A Tool to Test Intrusion Detection Systems by Variations of Attacks", 2002. "Optimization of Mix Components in an Anonymity Network" , 2001. These are books that I have written and contributed to. 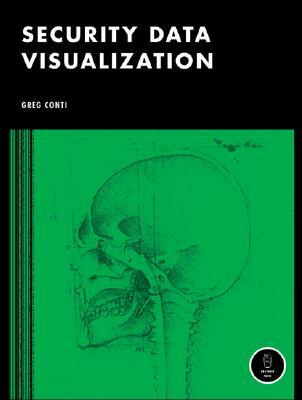 This book is about visualizing computer security data. The book guides, Step-by step, through visually analyzing electronically generated security data. Insider Threat, Governance, Risk, and Compliance (GRC), and Perimeter Threat all require people to gather and analyze their IT data. Log files, configuration files, and other IT security data needs to be analyzed and monitored to address a variety of use-cases. Instead of handling textual data, visualization is offering a new, more effective, and simpler approach to analyze millions of log entries generated on a daily basis. Graphical representations help immediately identify outliers, detect malicious activity, uncover mis-configurations and anomalies, or spot general trends and relationships among individual data points. Visualization of data - the process of converting security data into a picture - is the single most effective tool to address these tasks. I wrote a chapter on firewall log analysis and IDS signature tuning using visual methods for Greg's book. I wrote a chapter on security data analysis and reporting for the Snort book from Syngress. March 2019, The Cognitive Science Behind Cybersecurity, American Security Today. March 2019, Unter ambitionierten Menschen: Ein Wiler im Silicon Valley, Tagblatt. January 2019, 2019 Predictions - the year ahead for cybersecurity, ITPortal. December 2018, Forcepoint's Seven Cybersecurity Predictions for 2019, American Security Today. September 2018, How AI Can Help Stop Cyberattacks, Wall Street Journal. August 2018, A Look Back at Hacker Summer Camp: Black Hat & DEF CON 2018, Forsythe Focus. August 2018, Black Hat Day 2 Coverage Centers Around Mobile Sec, AI & ML, Cyber Security Hub. July 2017, Interview: KI und IT-Security - zwischen Hype und Realitaet, Computerworld Switzerland. March 2017, Podcast: Raffy Marty on the Truth About Machine Learning, AI and Advanced Analytics in Infosec, IANS Podcast. February 2016, Podcast: Big Data, SIEM, Visualization, IANS Podcast. January 2016, Article on Best Practices for Managing a SIEM, IANS Portal. December 2015, Hier entsteht die Zukunft, NZZ am Sonntag, Switzerland. August 2015, Visual Analytics And Threat Intelligence With Raffael Marty (video), BlackHat 2016 - DarkReading. August 2015, Creating You Own Threat Intelligence Through Hunting and Visualization, DarkReading. April 2015, Security Professionals Stymied by Outdated Visualization Tools, Wallstreet Journal Blog. September 2010, When Clouds Attack: 5 Ways Providers Can Improve Security IDG - Computerworld. August 2010, Replay Solutions Launch ebiz. May 2009, Applied Security Visualization Ethical Hacker Network, JP Bourget. August 2008, Security Wire Weekly: Security Visualization, Interview with Robert Westervelt from TechTarget (audio). August 2008, "Networking data visualization not just for pointy-headed bosses", Interview with Michael Morisy. July 30 2008, San Francisco Belediyesi Hack VakasÄ±: Denetim Neredeydi?, turk.internet.com, Andy Patrizio. July 23 2008, San Francisco Hack: Where Was the Oversight?, InternetNews.com, Andy Patrizio. June 30, 2008 Blended Attacks using Social Engineering Podcast, ITProPortal.com, I am interviewing Peter Wood. March 17, 2008, Marketwire: RedSeal Systems to Present at RSA 2008. January 16, 2008, InformIT Bridging Security and Visualization (video). January 9, 2008, InformIT Applied Security Visualization (video) discussion of the upcoming book. Septemer 22, 2007, Michael Rash Linux Firewalls Book endorsement. August 3, 2007, Ben Chai Bar Talk on Visualization (audio). June 22, 2007, Cubing Security Event Logs to make Realtime Analysis Possible. May 23, 2007, Ben Chai FIRST Interview with Raffael Marty from Arcsight (audio). October 2001,Article in the St. Galler Tagblatt of October 31st 2001. Raffael Marty, "Cloud Application Logging for Forensics", SAC'11 March 21-25, 2011, TaiChung, Taiwan, ACM 978-1-4503-0113-8/11/03. Kara Nance, Raffael Marty, "Visualizing the Insider Threat", HICSS 2011. Challenge 5 of the Forensic Challenge 2010 - Log Mysteries, May 2010. Security Visualization - Learning From The New York Times, a video produced for Source Boston 2008. My GCIA paper. This paper shows how I analyzed a dataset given by SANS. I used graphing techinques, GraphViz and other tools, to automatically generate visual images of the dataset. I was a bit too enthousiastic and wrote way too much. The additional chapters are therefore published here. I was one of the co-authors of Design of an Intrusion-Tolerant Intrusion Detection System, a long-term research project funded by the European Union under the Information Society Fifth Framework Programme. NIST 800-41, contributed to the Guidelines on Firewalls, and Firewall Policy. Thor: A Tool to Test Intrusion Detection Systems by Variations of Attacks. My second term project I was working on was to improve an anonymity network by adding so called mixes. Read more on the Mixer page. My first term project I wrote at the Institute of Robotics at the ETH. My task was to develop a device driver for a PCMCIA Adapter and on top of that I had to implement the FAT-Filesystem in order to access ATA-compatible drives. Check out the special page to find out more. During a seminar that I attended while studying computer science, I worked together with Robert Hass on the topic: "IP over Everything". It's about the network layers IP works on, with a strong emphasis on the core-network technologies. Further we present a couple of services which use IP and what functionalities these services will demand from IP. In the services chapter I wrote a paragraph about security in the near future and what criterias the IP protocol will have to fullfill. Further there is another interesting chapter about VPNs. The presentation is available online as well. AfterGlow - A tool to help visualize graphs. SecViz - A place to share and explore security visualization. DAVIX - A live CD for security visualization. Copyright © 2017, Raffael Marty.